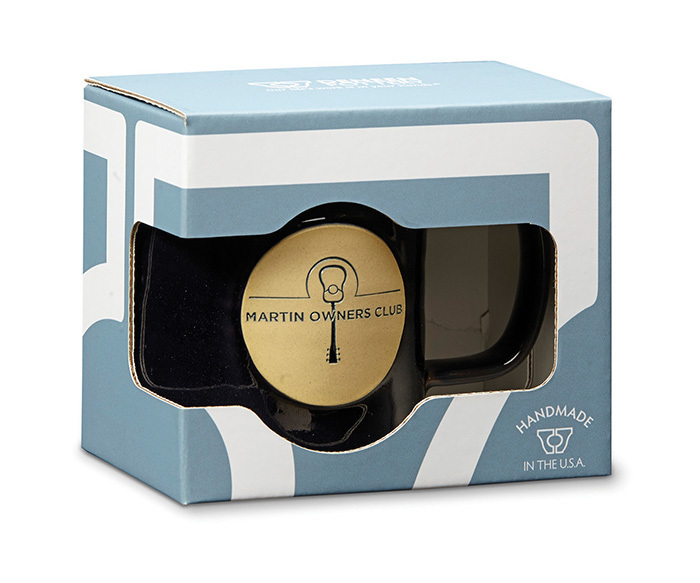 Peter Deneen, our founder, president, and inventor of the Glaze Engraving™ process, now brings you select items to help promote your handmade mugs. 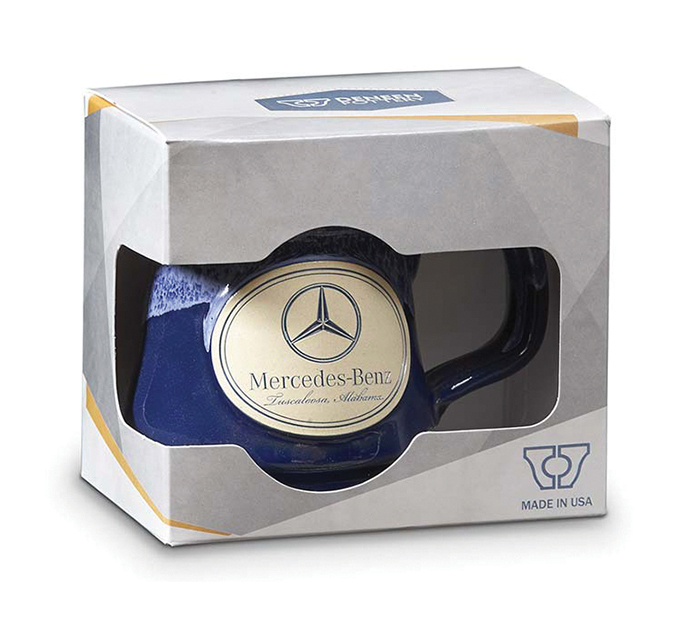 All of our Signature Mugs™ fit in the single gift boxes and can be shipped individually in 6x6x6 reshipper boxes. The Birch Mug Display and USA Stickers can be shipped out with your order or individually at any time. We will continue to bring you the best, so that you offer the best to your customers! 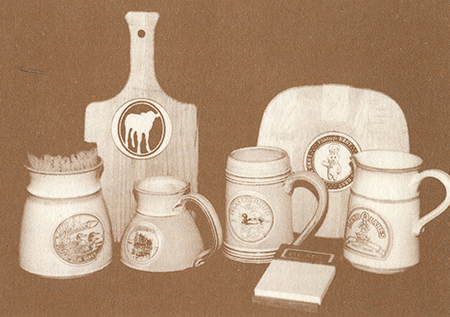 Great for packaging, displaying, and presenting. Although each mug is stamped with this on the bottom, placing another indicator on the front helps answer the question right away. 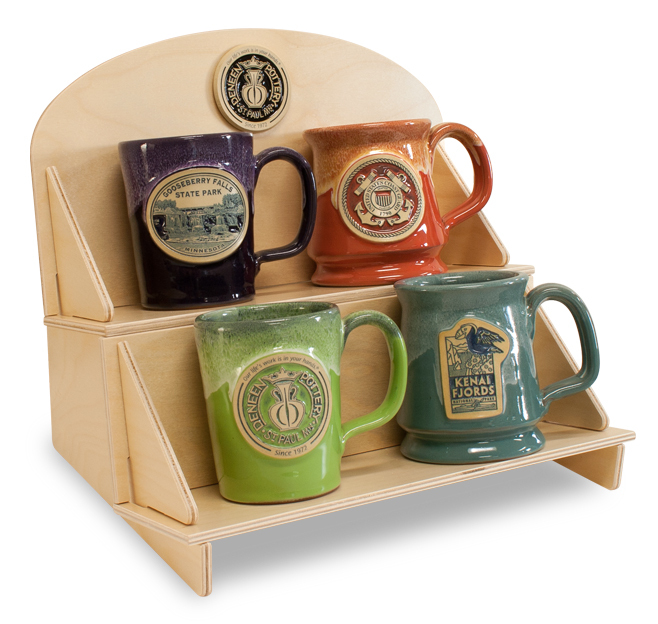 Displaying your mugs will help them sell, which means we get to make more for you! 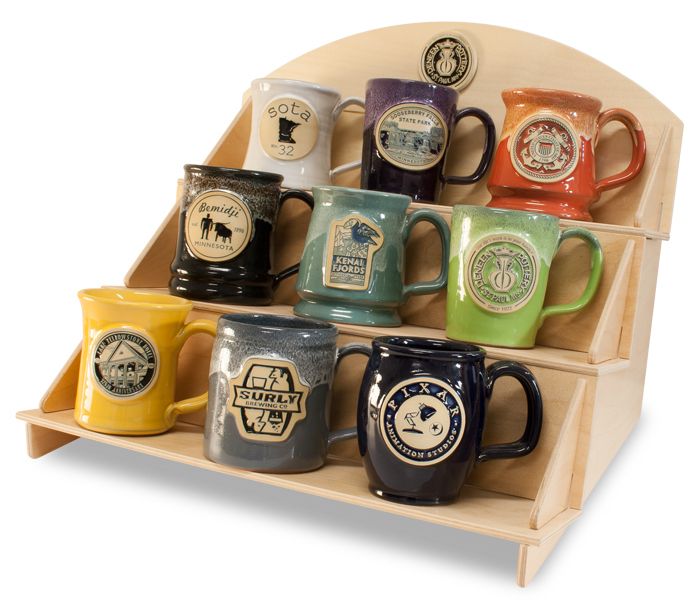 Perfect for air drying your collection of Deneen Pottery mugs! 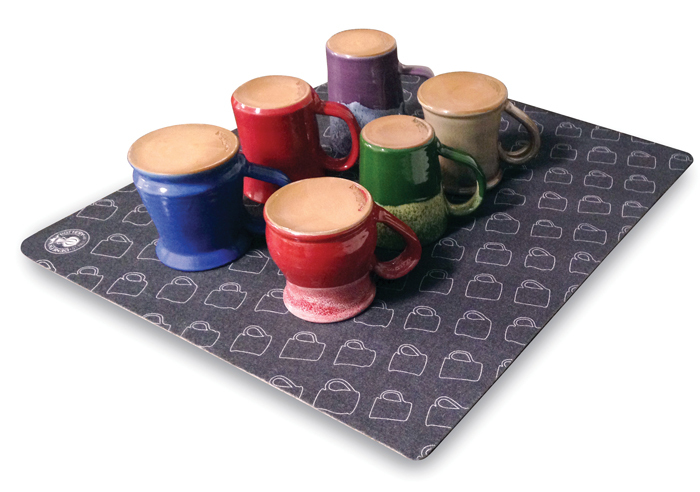 This Drymate mat is super absorbent, dries quickly, and is machine washable.